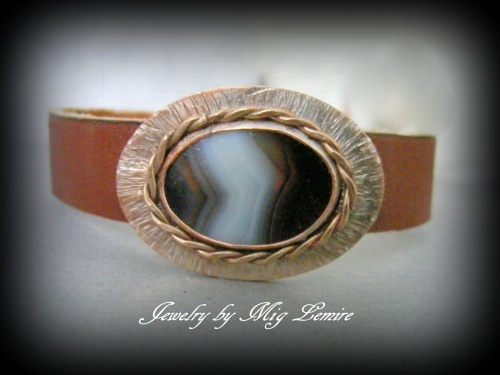 This leather bracelet has a beautiful Banded Agate for a focal gemstone and is encompased copper bezel and a bronze twisted wire framework and a fine silver coated copper that has been hand hammered to give it a really unique look. Measures 7 1/2". Has a strong Bronze colored magnetic clasp.